Finishing and repair of offices or living quarters are not conceivable without updating or laying the floor. Today, the alternatives for flooring are quite diverse. This is parquet with linoleum, familiar to us since the USSR, and PVC tiles and ceramic tiles and slate tiles and plain floors. All these are competitive and modern materials. Therefore, the choice of a specific and preferred coating is rather difficult. However, laminate, with all the variety of materials offered, can be fairly confidently named among the leaders in sales. And this is facilitated by the optimal ratio of its quality, that is, the proposed performance characteristics, and prices. If so, you cannot ignore such a popular material, so as not to know about its history, features, pros and cons and also how to install laminate flooring with your own hands? Well, let’s start with the history. When finishing new apartments and repairing secondary housing for flooring, you can apply floor covering material – laminate. Laminate – modern, beautiful, wear-resistant, eco-friendly material. It can be said that the laminate has replaced the parquet floor. Currently, parquet is too expensive, requires care for it, as a result, for many parquet is simply not practical or unavailable. With regard to the laminate everything is different. With the advent of new technologies of woodworking, gluing wood with composite synthetic compounds, a practical floor covering for lying on the floor – laminate has turned out. For the first time, the mention that the laminate has been laid down as a floor covering comes from 1977. Today more than hundreds of companies are producing laminate. Laying the laminate with your own hands, how to install laminate flooring yourself. Let’s start with the selection of tools that will be useful for laying a laminate. Regardless of where the laminate will be laid, on the wooden or concrete floor, the tools will be used similar. A hammer, a lug (a bar for punching a laminate), saws are better for metal because the cuts are more smooth or jigsaw, a clamp for mounting the last laminate panels, spacer wedges to ensure clearance from the walls, a ruler and a pencil, polyethylene film is necessary when laying the laminate on concrete floors as a vapor barrier, a substrate or substitutes, it is possible to use a bituminous substrate on cork crumb, which significantly extends the life of the laminate. 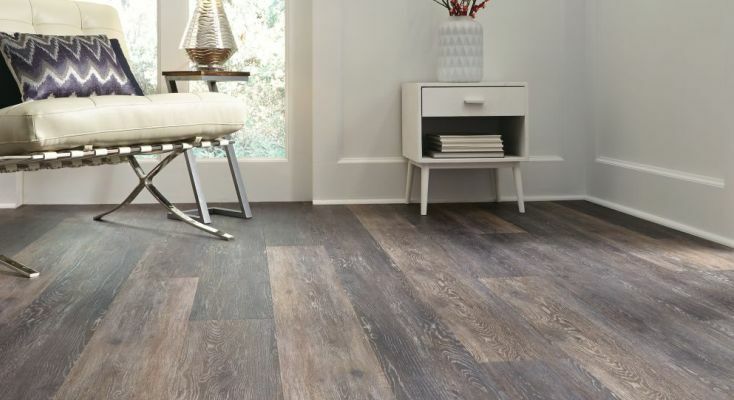 If you want to know about how to install laminate flooring, then at first need to know the advantage and disadvantage of it. The color scale and textured topography of the laminate surface is very diverse. This is his undeniable advantage. Another plus of such coverage will be the opportunity to purchase just such a quantity of laminate boards, which corresponds to the area of its laying. That is, you will have the minimum number of scraps of laminate boards, and not a few unused square meters, you may well remain when laying linoleum. Again, as in many other things, the advantages of laminate can turn into its shortcomings. A large number of joints will require more labor when installing it. And the joints in the compartment with the laminate material, wood chips bound by polymers, can cause the boards to swell and change the shape. All these phenomena can be observed under the influence of moisture, which may well fall into the cracks and on the reverse side of the laminate board. In this case, even the use of moisture-resistant laminate will not save, since with prolonged contact with water, it will still swell. That is why it is necessary to make a clear and unambiguous warning that laminate cannot be placed in rooms with high humidity, whether it is basements or bathrooms. Now the main point is How to install laminate flooring. First one general requirement is before putting the laminate floor; the floor should be as flat and stiff as possible. How to come to this? 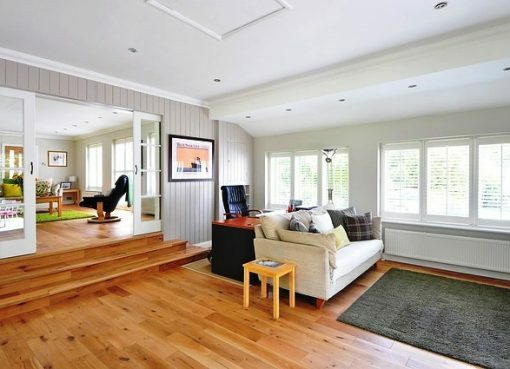 If this is a wooden floor made of boards, then first of all you need to get rid of insufficient rigidity. Planks in poor-quality packing often have properties to cave in, creak. It is necessary to check all the places where “walks”, “walks” the board and fix it to the lags laid on the floor. It is better to use self-tapping screws, rather than nails, as they provide a stronger and more reliable fixation. Next, you need to level the floor for laying the laminate. In the case of parquet, everything is simpler, the parquet is processed by a grinder after laying, and therefore it is only necessary to check that all its individual elements (racks) are in place and fixed properly, with glue or screws. The protrusion of metal hats nails or screws from the leveled floor is not allowed. Hope with these thorough details you have got proper answer of your question How to install laminate flooring.